Hey there. No matter which is your platform of choice, it is difficult not to feel excited about the future of gaming in 2017. This year certainly has plenty to live up to after a number of blockbuster games hit the shelves in 2016 to provide us with many hours of entertainment, with Overwatch (over 25 million gamers now play this game), Battlefield 1 (predicted to sell around 15 million copies in year one) and Dark Souls 3 (sold over 600,000 copies on Steam in its first week) amongst those which took the industry to another level. Ever-advancing animation technology, graphics and gameplay physics which is being utilised by developers should fill us with considerable optimism that gaming will become even better as goes by, with a plethora of genres ensuring that there is something for everyone, irrespective of age or gender. 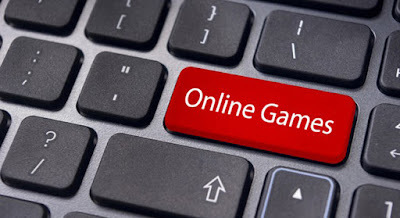 Having so much choice at our disposal is one of the best things about being a gamer, as we can play a few hands of cards online whilst on the go via a mobile or tablet device, or sit down in front of a console or PC and enjoy any number of hours that you desire gaming alone, with friends or online with others across the world. We all have our own preferences when it comes to particular genres we like and play on a regular basis, but there are five which have the potential to catch fire in 2017. The future of gaming is already here, with a reported 6.3 million virtual reality headsets sold throughout the whole of 2016. VR/AR headsets, whether they are made by PlayStation, Google or Oculus, provide a direct view of a virtual world augmented by computer-generated sensory input which not only give us a visual picture of every angle of our surroundings, but also hear sounds which add to the realism of the experience. Each headset comes with hand controllers which enable us to carry out a multitude of tasks in accordance with what the game is based on, such as picking up and holding items, using weapons and pulling levers. Game developers have been quick to realise the wonderful potential that is available through creating a VR-compatible game in a genre that will continue to grow in popularity, with Surgeon Simulator, Superhot and the new Resident Evil 7: Biohazard game to name just two titles that we can experience through a VR headset. The latter, in particularly, is wonderfully created to give us the sense of fear, dread and panic that comes with walking down dark corridors, not knowing what will happen next as you creak around a wooden cabin and try to survive against all types of enemy. Irrespective of our age, we can all remember a time when we sat down with our friends and family to enjoy a game night which featured some of the most iconic board games ever made. Despite living in a digital era, a 20% rise in board game sales in recent times proves that their popularity continues to grow, with a number of board game cafes providing the opportunity for you to sit down and become immersed in the journey of tabletop games, such as Codenames and Ticket to Ride, whilst enjoying a refreshing drink. Sales figures are boosted by the existence of YouTube channels TableTop and Shut Up & Sit Down which predominately focus on tabletop gameplay, and with the former featuring American actor Wil Wheaton (Star Trek: The Next Generation and Stand By Me), his presence creates a domino effect which sees games featured on the channel sell out almost immediately. Crowdfunding sites, such as Kickstarter, have also played a fundamental role in lowering the entry barrier for those who want to break into the industry and allow others to play their board game, with the upcoming Dark Souls video-to-game adaptation receiving £4.2 million – a figure which eclipsed their initial £50,000 start-up request. The digital age has seen some of our favourite board games become available on consoles or PC to not only ensure that their legacy never dies, but also provide another way for us to enjoy the journey when being face-to-face at a table with friends or family members is not an option. Scrabble (1988) and Sorry! (1998) were released on PC during a time when computer gaming was only beginning to take off, but the most common board game that we can surely all relate to is Monopoly. The fact that the figures for boards sold (over 250 million) and number of people who have played one of the versions (over half a billion) will only continue to grow tells you everything about its huge fanbase and the house of entertainment that keep you coming back for more. Monopoly has featured across a multitude of digital platforms since 1985 as gamers have been able to enjoy, or feel the frustration, of trying to acquire a number of properties whilst hoping to avoid those that other players have purchased and not go bust on console and PC. The Monopoly Family Fun Pack is the most recent instalment of the digital series to hit the shelves in 2014, with Electronic Arts creating a number of different modes to provide us with a different take on how to play Monopoly and become forever lost in a battle for supremacy. Where would we be without the internet? It is now difficult to imagine a world without fibre broadband connections which provide us access to a whole world of information and services that practically gives us everything we need. Gaming has certainly taken off to provide us with a genre which is already hugely popular and only likely to grow stronger, with the ability to play on a computer or whilst on the go via mobile and tablet devices ensuring that our entertainment needs are met wherever we are. This is particularly the case for gambling which has made a successful transition from the casino floor to the internet, meaning that we can enjoy our favourite games without having to dress up or travel to our local land-based casino. There are a number of online gaming providers like Betway Casino online, offering a great range of options for us to choose from, with slot games like Mega Moolah (highest jackpot game on offer) and Tomb Raider (a prime example of movie themes being ported into slots, along with Jurassic Park and Brides Maids) amongst the choice of slot games. Bingo, poker and roulette are also available for those who fancy something different, but while I would advise everyone to gamble responsibly, the genre itself is only likely to grow as we all strive to hit the jackpot. Becoming immersed in a game alongside a number of other players who are working alongside or against you is part of what makes gaming so enjoyable, with MMORPG titles perfectly designed to provide us with hundreds of hours of gaming enjoyment. Creating our own avatar gives us the freedom to be creative and choose our own features, with the ability to gain skill points and acquire items that prove to be helpful during tasks undertaken with other online players likely to carry the genre forward for a number of years to come. It is the sense of collective achievement and uniting with fellow gamers with the same aim that make MMORPG games so successful in the gaming industry. The Elder Scrolls Online (over 7 million gamers) and Neverwinter (over 12 million gamers) are prime examples of games which have enjoyed considerable success through their ability to take us on a wonderful adventure alongside our fellow compatriots online to defeat the evil forces and become more powerful than we can imagine.